The biggest factor when finding the best product for you is understanding the different technology that each TV has. In this case it is LED, OLED and QLED TVs. Below I will go over the basic of each different type and share wit you their weaknesses side by side with their strengths. I’m also aiming to keep brief as if you are more interested in the actual working behind the scenes I’ve done an article on just that which you can find here. A very simple answer to what is a LED TV is that it is a ‘light emitting diode’. These types of TVs use standard LCD panels while LED lights are used as the backlight to help produce a more appealing picture. They are also more affordable and more widely available. this is because they are easy and cheaper to manufacturer than its competition. For this reason if you find yourself needing to save some money when buying a TV, a LED TV will be your best choice. They offer the most advantages for the cost and simply are just down right reliable. I’m my honest opinion, the answer to what is a QLED TV, is that it is just a marketing stunt by Samsung to attract potential buyers. They use the same technology as LED TVs, with subtle software enhancements that are often not worth the price they charge. On the other hand they do offer the best range of colors available by small margin. Though the margin is small, it is a lead nonetheless. So if you find yourself wanting the best colors, and are okay with the cost, then QLED TVs are for you. The best all -around TV that money can buy. That is the answer to what is an OLED TV. They offer the most high-end result while maintaining a relative cost to their performance unlike QLED TV. In this case then, if you find yourself with a large budget and want a TV that will out perform all other TVs, then an OLED TV will be the best for you. In recent years even the most powerful and more complex local dimming options have not begun to bridge the gap that has been created by OLED TVs. Overwhelmingly OLED TV have a much better contrast ratio, but LED TVs still beat out QLED in this category. Blacks will looks good here, but in a brighter room the differences will be noticeable. This is also another huge difference that the OLED TVs tend to overwhelm their competition. Granted LED TVs do have an average viewing angle and perform well with IPS panels, they simply do not compare. The same can be said for the QLED TVs that followed in recent years. They are said to be an improvement, but are just not an improvement at all. Most notably the Samsung QF7 makes this difference known as it leads the pack in color gamuts. LED TVs get close, but not nearly as close as OLED TVs. This is very good for HDR and UHD content when watching Blu-ray movies or streaming high-demanding 4K content. The only real difference that isn’t shown here, is the cost of each. LED TVs are dramatically cheaper. The LED TVs are comparable to the QLED TVs under this metric, but neither compare to the response time for the OLED TVs. This is because of the natural way that OLED TVs produce their picture. With each LED being individual from the next it makes for a lightning fast response time that the other two cannot even begin to handle. OLED TVs are a clear winner here. Though surprising to some, the LED TVs beat out QLED and OLED TVs in sheer brightness of the display. This comes down to two things, sheer power given to the display, and the technology that limits the display. Often times the OLED TVs will dim their brightness when the picture is not all that bright or when it is not needed. This prevents the display from becoming too bright, but also limits the true power of its HDR content. In the case of LED TVs, they simply tend to keep bright all throughout leading to a higher level of brightness. Overall the LED TVs are the most affordable for an average user. Then when looking into the cost of QLED versus OLED you can see that whenever you would be interested in a QLED TV that OLED Tvs are likely to be the better option. They’ll offer just so much more for the the hole in your wallet they’re going to leave. That’s not to say that neither can be over priced. I urge you do do your research before falling into a financial trap. What is the Best TV? 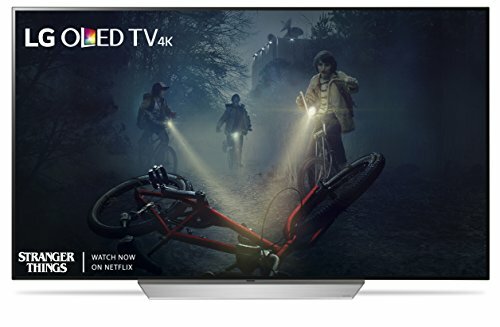 With all that said and mentioned, I’ve listed below the best TVs for LED, QLED and OLED TVs. This has a huge emphasis on their performance versus their overall cost. This also took some time to make. So if you do not agree, let know in the comments below and I’ll be sure to respond to any concerns you have. 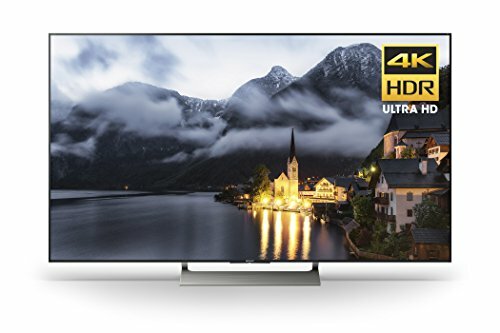 The Sony XBR55X900E can do everything you need and just about everything you want. Wonderful contrast and great dimming features flow with its ability to produce a 4K image. It handles reflections well and motion blur should never be a problem. 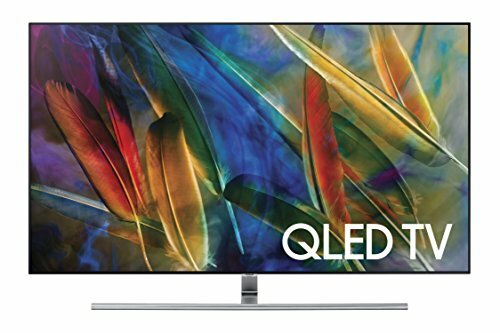 If you find yourself intertested in a QLED TV, the Samsung QF7 is the best way to go. It offers the best performance of all QLED TV on the market right now and though its not the cheapest TV, its the cheapest QLED TV. The LG C7 is almost perfect. It can display pure blacks with ease thanks to an infinite contrast ratio and the input lag in insanely low. Which is true for both size and cost of the TV. The motion handling is done very well and the smart features are as expected of LG TVs. The only fault is a slight bit of image retention. I normally do not list this at all, but in this case for the cost it should be noted. If you find yourself interested in a TV I recommend two things. If you are interested in saving money to get an LED TV. There are tons of great options available out there. Secondly, if you are interested in the best performance on the market to get an OLED TV. They often more more affordable than QLED TVs and simply just perform better overall. I hope this works out the kinks with LED, QLED and OLED TV.